I recently hired this little gem from the library. Based on the popular series of articles appearing fortnightly in the Telegraph, Ed Stourton muses on the meaning of life and all things canine as he walks his dog Kudu. Anyone who ever walks a dog will know that if you are accompanied by a dog you can talk to anyone, and anyone can talk to you -- about anything. What is more, while we may know that a dog is just a dog, we continue to allow ourselves to speak and think of our dogs as friends, individuals with a full claim on our affections. " Funny, touching and surprisingly revealing -- this is a sparkling source of amusement and comfort for dog-walkers everywhere. Edward Stourton is a newspaper columnist, writer and regular presenter BBC Radio Four programmes. He is a frequent contributor to the Today programme, where for ten years he was one of the main presenters. This book is a personal exploration of sharing your life with a dog. It doesn't just look at dog behaviours but what instigates those behaviours. It is also highly amusing and charming, and will have many dog owners nodding their heads in sympathy. It also explores the wider world and the attitude of other cultures to dogs. 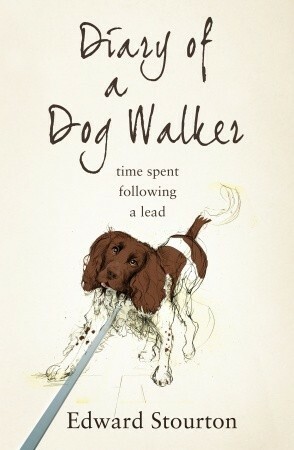 This is a collection of sweet and cosy anecdotes from the author as well as some hard hitting canine history.